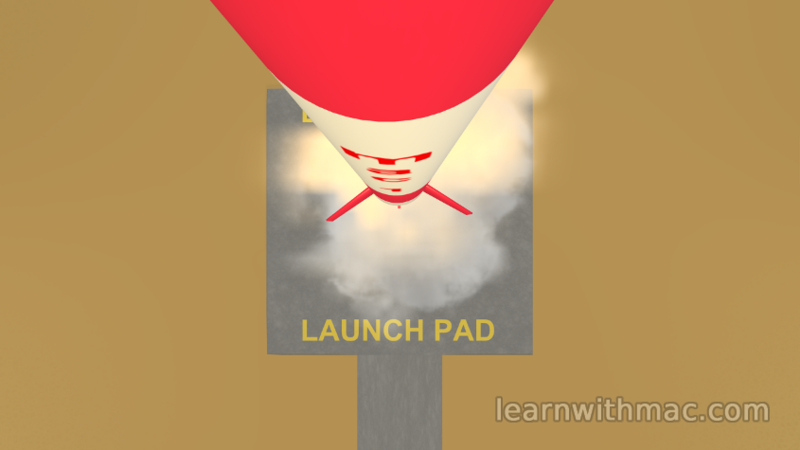 Here is the latest result from my animation of the rocket launch to be included in my next video on Newton’s Third Law of Motion. During the final scene of the video I explain the forces acting on a rocket during launch and you get the chance to have a view of the launch from on board the rocket as shown below. In fact there will be the opportunity to see the launch from several different angles with the full animation of smoke and fire! Have you ever discussed how a rocket manages to launch into the air with a friend? Has one of the explanations been that the engine pushes gas against the ground and the ground pushes back on the rocket? Well this isn’t true. It has nothing to do with the ground. If it had then how would the engine still work high above the ground? Well the answer is that the engineers have used Newton’s Third Law of Motion to launch the rocket. All is explained in my video on Newton’s Third Law of Motion which will be available soon. Next story What are these force arrows?